The Detective and I shared our concepts of fairness, along with concepts of fairness from the victims we’ve seen/advocated for. We both expressed similar beliefs and fears of the perceived notion of “fairness” based on years and years of seeing bad stuff happen to good peope. Example: You’re riding your bike on the street. You’re wearing a helmet and a neon yellow vest. Visibility on the roads in excellent. That, coupled with your neon vest makes you nearly impossible to miss. There are parked cars on the right side of the street, making it a tight fit for car and bikes to get by. You signal with your hands indicating to traffic that you’re moving over to the left in order to avoid the parked cars and continue on your way. For all intents and purposes, you have the right of way. As a cyclist, you’ve done EVERYTHING RIGHT. You could slow down and wait for traffic to pass, but you assume that motorists can see you. You’re also confident because at law, you’ve done nothing wrong. Problem is, the driver of the car riding next to you hasn’t seen you there for the last block and a half. The driver has NOT checked their mirror in the past 30 seconds, and they don’t see you at all, let alone you signalling to traffic. The driver swerves directly in to your path, causing you to lose control of your bike, and collide with a parked car. You fall over the parked car, and fall head first onto the pavement at a high rate of speed. You lose consciousness. The next thing you know is that you wake up in hospital without any feeling or sensation in your feet of legs. The doctors at St. Mike’s Hospital in Toronto tell you that you’ve sustained a traumatic brain injury, along with a spinal cord injury. You will never walk again. Days pass and a detective from the Toronto Police Service comes to take a statement from you. You tell the detective exactly what you recall from the events leading up to the accident. The detective tells you that they will be charging the other driver with careless driving pursuant to section 130 of the Highway Traffic Act. The at fault driver pleads guilty to the charge. He pays the maximum $2,000 fine. He does NOT have to serve any jail time because this is his first offence. You’re left in a wheelchair for the rest of your life. On top of that, you’ve sustained a traumatic brain injury along with all of the cognitive issues which come with it. Does that seem fair? That’s where the Detective and I agreed that the public’s perception of fairness is skewed once they understand how the law works, and how penalties under the law work. Your personal injury lawyer gets you the maximum result under the policy limits, which are $1,000,000. Will that $1,000,000 ever properly compensate you for your injuries arising from this claim? It won’t. In this example, the accident victim was right at law. He did nothing wrong. BUT, just because you’re right at law, doesn’t make you right in life. 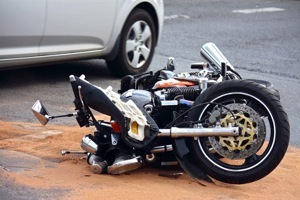 Canadian Personal Injury Law compensates people by awarding them money. There are LIMITS to the amount of money for pain and suffering damages in Canada. There are also policy limits to insurance policies. There is never any sum of money which will properly compensate you after you’ve been the victim of a catastrophic car accident. There are no magic pills to recover from certain injuries. Don’t be naive when it comes to how to the law works. The law cannot turn back time and prevent injury or death. The Detective and I shared the same views on this. Our advice to the people we meet was to stay safe, be mindful of your surroundings and the people you’re with, even if you’re in the RIGHT. In the battle of man vs. 1 ton car, the laws of physics dictate that 1 ton car wins. In other news, Southern Ontario was hit by a big storm today. School Buses aren’t running in many school boards making kids happy. What’d I see on our roads? Beautiful BMWs, Lexus and Mercedes cars WITHOUT SNOW TIRES trying to navigate the roads, rather unsuccessfully. Just because you drive an expensive luxury car doesn’t mean that you’re vulnerable to the elements. All Wheel Drive isn’t effective when the tires won’t grip. Purchase SNOW TIRES and save a life, and save the embarrassment and frustration of getting stuck or potentially causing a serious car accident. On a personal level, I’m reading the book CrazyTown by Robyn Doolittle. That’s the Rob Ford Book. If you have any interest in municipal politics, scandal, the history of the City of Toronto, or Rob Ford, this is an excellent read. Really enjoying it thus far.